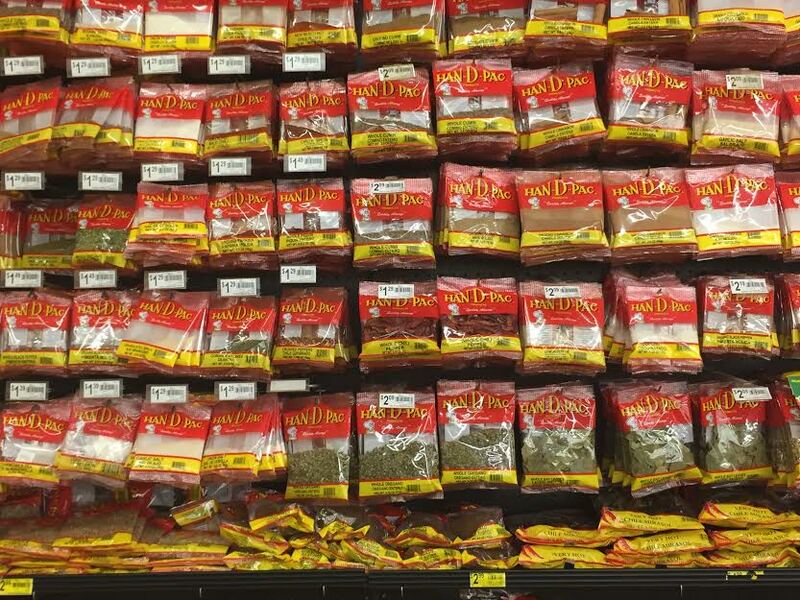 We love our grocery store--Lowe's Fiesta Foods--here in Las Cruces. 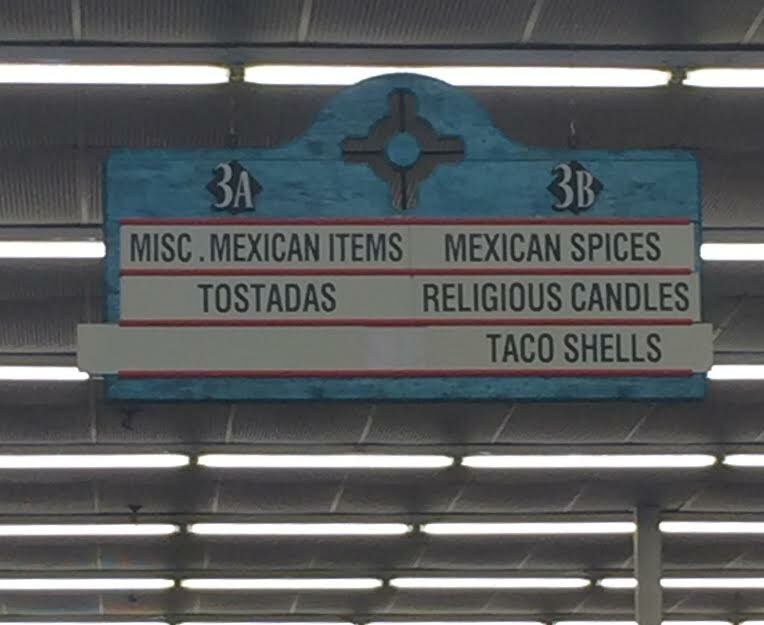 It has a special section for religious candles. 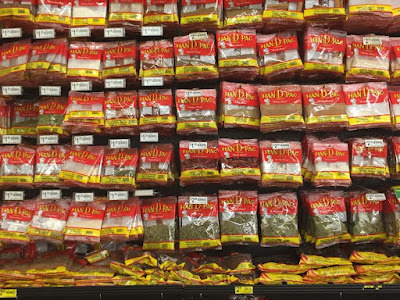 The spices come in bags like this, and they have Spanish names: Canela (cinnamon) and comino (cumin) are ones I use a lot. 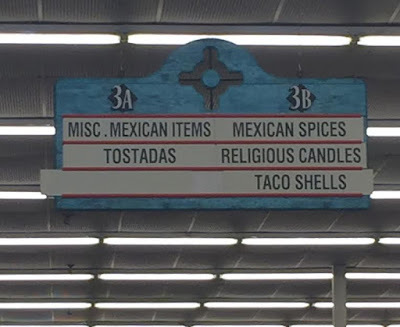 There is an aisle devoted to cooking utensils, including stone molcajetes, which are the Mexican version of the mortar and pestle for grinding food and spices, and are traditionally made of basalt. Friends up on the west mesa of Las Cruces say folks in their neighborhood occasionally dig up old ones in their gardens. Over in the meat department, packaged beef tripe for menudo, a classic tripe soup/hangover cure, takes up a lot of space; as does buche (cooked pork stomach), and pigs' feet. 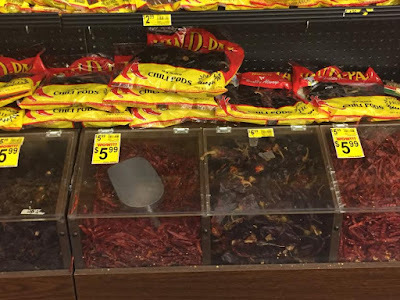 You can buy prepared barbacoa beef, carne adovada, and other marinated meats ready for cooking. There are very large 5-10 pound packages of prepared masa, which get made into tamales. Of course, you can also buy bags of masa harina and make your own dough, and there are always large packages of corn husks, also used for making tamales. One of our favorite parts of the store is the big open tortilleria, where you can watch fresh corn or wheat flour tortillas roll out of the huge machines and get bagged up for you, still warm. 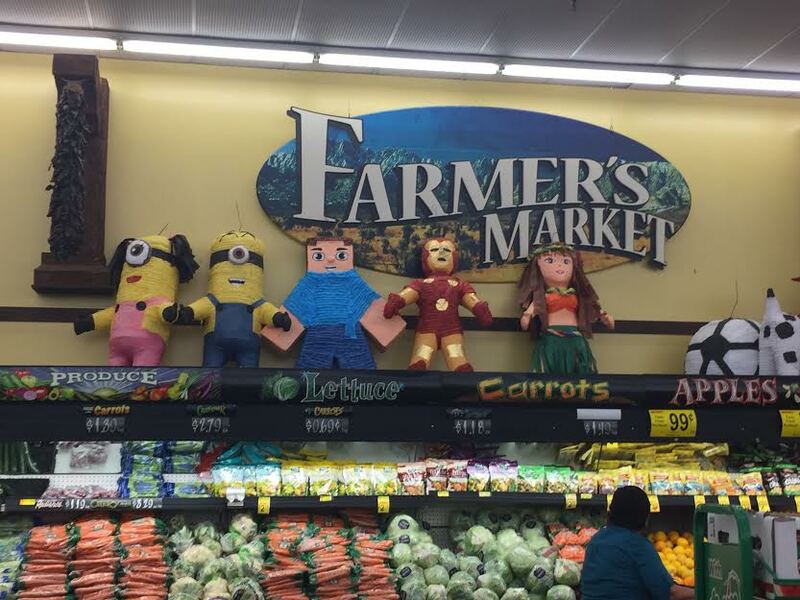 It seems that every southern New Mexico food market features at least a few piñatas for kids' parties. 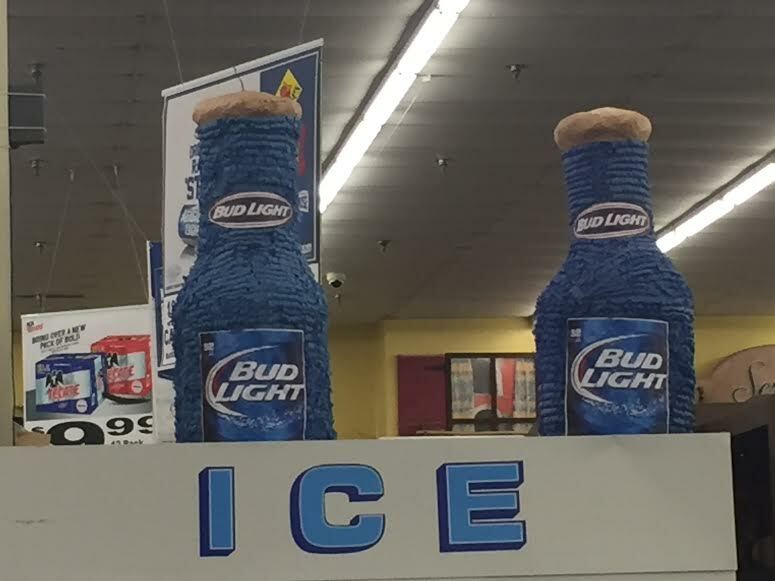 Today I noticed some beer bottle piñatas for more adult gatherings. 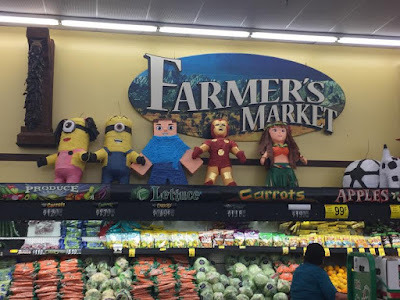 Even on a blazing hot summer day like today, the atmosphere in this store is always friendly and pretty darned festive. People move slowly, stop and chat with neighbors and friends, and smile at each other in two languages.